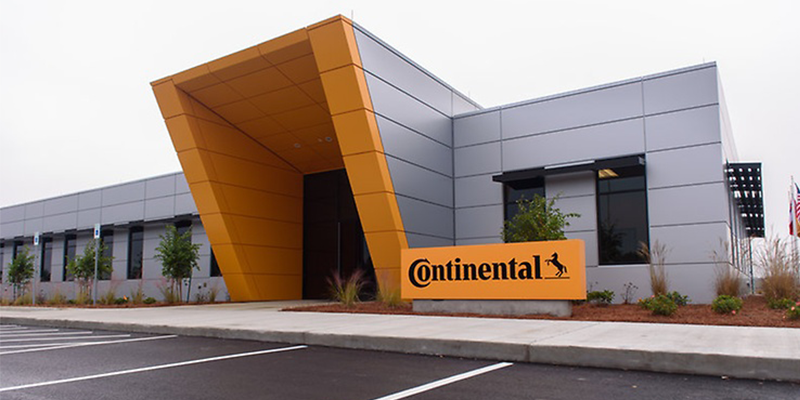 Continental’s new employee training center in Clinton, Mississippi, where its truck tire manufacturing plant is slated to be finished by the end of 2019. U.S. Department of Labor Secretary Alexander Acosta visited Continental Tire the Americas’ new employee training facility in Clinton, Mississippi last week for a roundtable discussion with workers, workforce development leaders and Hinds Community College students. Acosta and Mississippi Gov. Phil Bryant tweeted about their visit to the new training facility – also the site of the company’s future truck tire plant, which is slated to create 2,500 jobs by 2028. “We were honored to have Department of Labor @SecretaryAcosta in Mississippi today to see our workforce training efforts with @continentaltire and @HindsCC. We viewed hands-on training and visited with workers at Continental Tire’s training facility,” Bryant tweeted. According to WAPT 16, the Hinds County ABC affiliate, Continental has already hired 83 workers that have started training at the center to be employed at the plant, which is slated to complete its phase at the end of this year. By the time the tire plant officially starts production in 2020, around 400 employees will be hired, Continental told Tire Review. In its first phase, the plant is expected to produce 750,000 tires annually. The 23,000 square foot training center consists of interview rooms, computer labs, a media room and a large multipurpose room that can be converted into three classrooms. The back of the facility features a high-bay training area that can hold large vehicles for tire wear studies. In that same area, there are three classrooms dedicated to controls/drives training, hydraulics/pneumatics training and lean manufacturing workshops. Acosta and Bryant were photographed in those classroom areas with students demonstrating how different technology in the classrooms worked. Continental Tire has said the training facility will be used for recruitment activities such as job interviews and employee onboarding as well as for professional development and for events. With building its plant in Hinds County, the company has also boosted its partnership with Hinds Community College, located near the training facility. Hinds will provide assessments and training for Continental employees and has helped provide equipment for the training center. Students attending the community college will also have the opportunity to get hands-on experience through internships and apprenticeships with Continental. The training center is the first completed structure in Continental‘s long-term growth strategy in Mississippi.